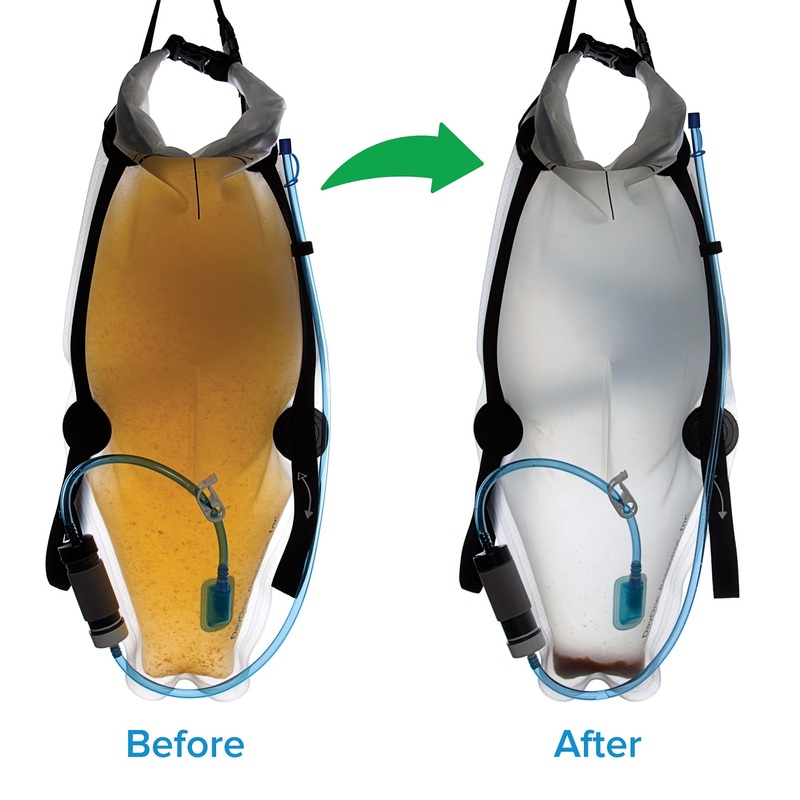 The Day One Response waterbag backpack is a personal water treatment system. It's kinda like making your own tap water. This system can be used anywhere in the world and is primarily designed to purify dirty water. When I say dirty I mean murky sediment laden water. 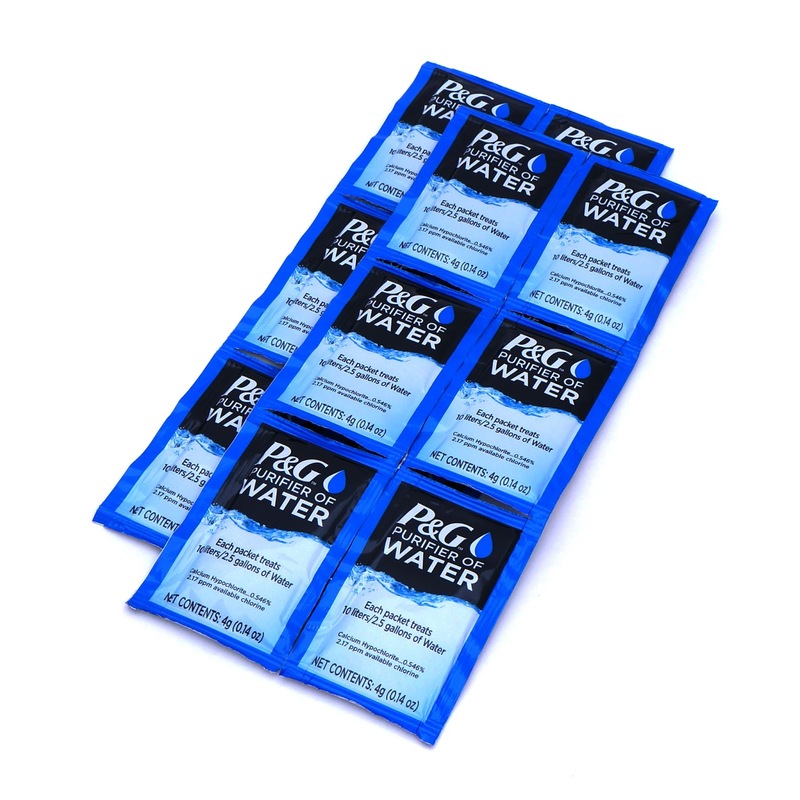 The waterbag comes with small pouches containing calcium hypochlorite and a flocculant. Calcium hypochlorite is essentially bleach and the floc coagulates the sediments in the water and causes them to settle at the bottom of the waterbag. This clarifies and purifies the water. The water then flows out of the waterbag thru a filter to further help eliminate micro organisims. With clear, cold, fast flowing water in areas of the world where water borne viruses do not exists, such as most of North America, use of the additive is not necessary but will help to ensure purification. I won't go thru the instructions here but it's just about as easy to use any filling up the bag with water and waiting for it to come out the other end. Just as with any other filter you do need to keep the clean end from being contaminated by the unfiltered/unpurified water. This can be a challenge if you are just gonna dip the waterbag into the river to fill it up. I don't like the clean end to go anywhere near the dirty side so you'll need a separate container to accomplish this. The waterbag uses an MSR Autoflow filter cartridge which could be replaced if needed with any other inline filter such as a Sawyer to achieve the same purpose. The waterbag also comes with a large syringe that is used to clean the filter by back flushing clean water thru it to clean out the filter elements. Thus this type of filter can be back flushed many, many times which means that it can work property for a very long time. One very critical thing to be aware of is that the filter can be damaged by dropping it or by freezing, and you won't know that it is broken until you get sick because the filter elements were damaged. So, protect that filter well and bring it in from the cold. Where does the Day One Response Waterbag fit into my emergency preparedness plans? Let me expound. Plan A. Establish your home water storage first. Fill and maintain fresh water in whatever you use to store water such as blue 55 gallon drums. My recommendations are for an absolute minimum of 2 weeks worth of water storage. B. Plan and prepare for a way to treat contaminated water coming to your home in the plumbing. The Day One Response Waterbag fits in nicely here. Make a plan to get more. Plans C, D, E, and F.
C. Put my 250 gallon water storage tank in my enclosed trailer and drive it down to the local river, Fill it up by means of a gas powered water pump or by any other means such as buckets, hand pump or siphon. This water will still need to be filtered or purified. The Waterbag will work perfectly in this application as well. D. Walk down to the river and fill the Waterbag to carry water back home. E. Hike to the spring up the little canyon to collect water with the Waterbag. F. Collect rain water as it is available. 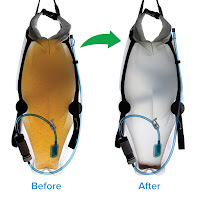 Purify it and filter it with the Waterbag. There are, of course, many other ways to filer and purify the water you need to drink. However, not many of them fill our needs as well as the Day One Response Waterbag, For carry, transport, purification and filtration the Waterbag does it all. The fact is that you should have multiple and redundant systems in addition to the Waterbag. You should have several Waterbags but you should also have other purification and filtration systems including other gravity filters, ceramic and membrane filters, sand and carbon filters, water purification tablets, UV purification, bleach and ways to boil water. If you don't have clean, purified water not much else matters. In an emergency situation don't be the one who is in need of assistance. Prepare now to have the basics of shelter, clean water and food.